From the fire on the set of The Exorcism to all of the strange happenings surrounding those involved with the production of Poltergeist there is a long and strange history between horror movies and real life freaky occurrences. 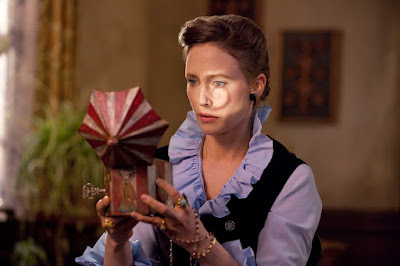 It turns out that The Conjuring franchise can now be added to this legacy, because lead actress Vera Farmiga has actually experienced two unexplainable incidents since starting work on the series. Anthropologists probing the discovery of tiny 8000-year-old hand prints in an Egyptian cave say they were not made by human hands. 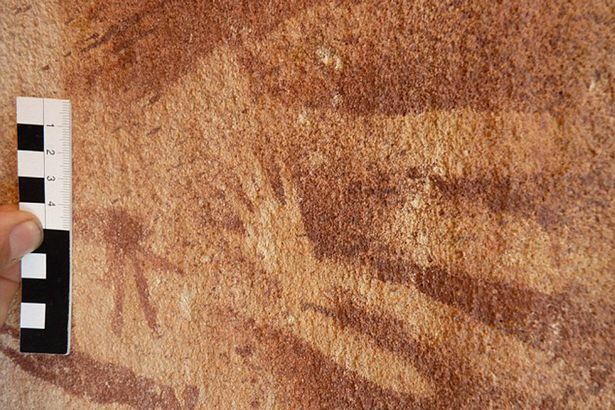 Explorers stumbled across the tiny hand imprints in a Saharan cave after unearthing more than 5000 images carved into the stone in Egypt's southwest border with Libya 14 years ago. But a study of the 13 tiny hand prints show that not only are they not human - but that they are believed to belong to tiny lizards. An extensive search in Terence Bay, N.S., had ended after emergency officials found no signs of a reported plane crash by a concerned resident Tuesday evening. The Halifax Regional Fire department says they received the 911 call at 6:09 p.m. on Tuesday. The call prompted the start of a joint search by the fire department, Halifax RCMP, the Joint Rescue Coordination Centre, and the Coast Guard. Tim Slaunwhite contacted police after claiming to see a plane crash in Terence Bay, N.S. "As I looked up I seen an explosion - watched it to my amazement,” said Slaunwhite. Slaunwhite says he didn’t think twice when he called 911. “You could see the plane basically lowering itself, going down and down and down, and then all of a sudden it broke in two - it just broke in two,” said Slaunwhite. “Then all of a sudden within 10 seconds the front end caught on fire." The fire department searched for an hour before calling off their search. “They felt like they did everything they could,” said Blackford. While fire crews searched on land, JRCC and the Coast Guard searched the waters just off the shores of Peggys Cove. JRCC's search was called off around 9:30 p.m. Cpt. Hillier says earlier in the evening, Air Traffic Control advised them that all aircrafts were accounted for and they didn’t receive any emergency locator transmitters. Halifax RCMP also tells CTV News no planes are overdue or missing. But Slaunwhite is convinced of what he saw. The number of incidents of child sacrifice — in which witch doctors abduct children to use their body parts in potions or rituals – in Uganda increased significantly in 2015 as the nation braced for election season, thanks to desperate political candidates seeking any possible advantage at the polls. In Uganda and other parts of Africa, members of the political class with access to the financial resources necessary to pay a witch doctor have long turned to supernatural tactics in the hopes of attracting voters. “Child sacrifice cases are common during election time, as some people believe blood sacrifices will bring wealth and power,” Shelin Kasozi tells Kenya’s The Star. Kasozi works with Kyampisi Childcare Ministries (KCM), a group that specializes in helping children who have survived attempted sacrifices. The report says 13 cases of human sacrifice were reported in 2015, the same number as the year before. Two fewer children and two more adults were confirmed to be the victims of human sacrifice in 2015. Six of the cases of children in question were found to be directly related to Uganda’s elections. The charity notes that these are only confirmed cases, however, and that many cases of missing children have yet to be resolved and could turn out to be cases of ritualistic sacrifice.